As a part of flood mitigation projects and our community rating system, the City of Austin will provide base flood map information, floodway data, information regarding known flooding problems, such as localized drainage or storm water problems and historical flooding information. 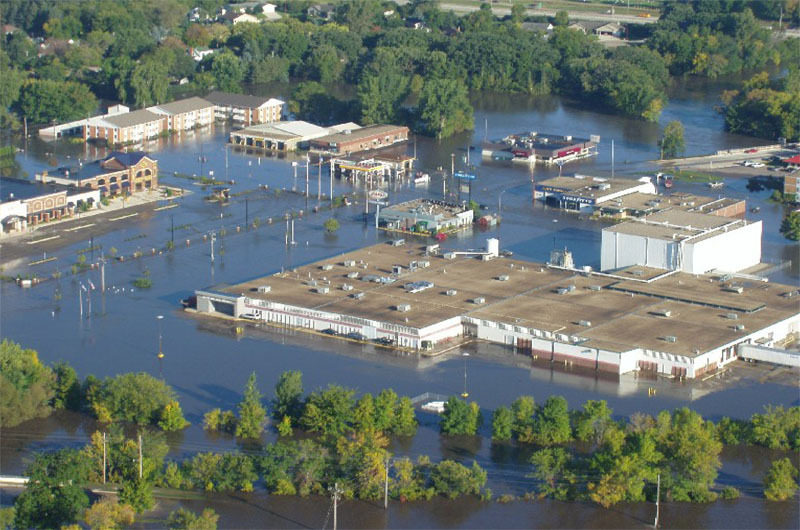 To determine if your property lies within a floodplain, check our floodplain maps at http://www.ci.austin.mn.us/public-works/flood-mitigation-program. FEMA maps are also available at the Planning and Zoning and Engineering City offices as well as some elevation certificates. We can also reference our base map to determine if your property is in the floodplain. This notice has been mailed to all addresses located in or adjacent to the 100 year flood plain along the Cedar River, Turtle Creek, and Dobbins Creek. These streams are the major sources of flooding within the City of Austin. If you have received this notice, you are located in or very near the flood hazard area. The purpose of this notification is to inform you of the flood hazard associated with these streams and suggest possible action you can take to protect yourself. Maps showing the limits of the 100 year flood plain are on file in the City Engineer’s Office located at 500 4th Avenue Northeast in Austin. The 100 year flood plain is the area that has a 1% chance of being flooded in any given year, or on the average of once every 100 years. Put another way, the area has a 25% chance of being flooded over the life of a 30 year mortgage. Smaller floods have a greater chance of occurring in any year and can still create a significant flood hazard to people and property close to the channel. Also, larger floods can and do occur. Austin is subject to dangerous flash flooding during or following heavy storms. 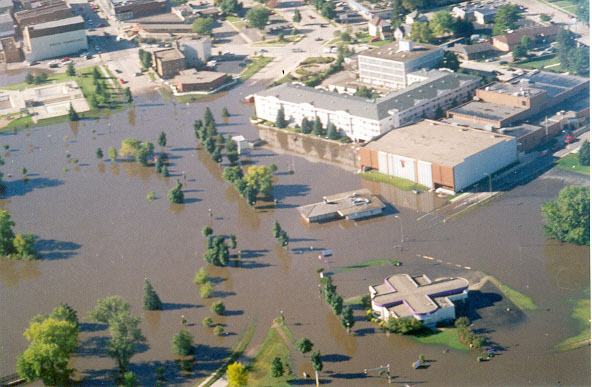 Significant damaging floods have occurred in 1978 (twice), 1993, 2000, and 2004. The peak elevation of the September 2004 flood caused severely damaged foundation walls and basement floors, ruined furnaces, and other basement appliances were commonplace, along with 1st floor damage with many structures. Austin has developed a flood watch and warning system for the flood plain area. Watches and warnings will be disseminated by local radio (1480 AM & 99.9 FM), TV (Channel 6), and by police vehicles equipped with high/low siren settings and public address systems. A flood watch declaration means that flooding is possible within the watch area. A flood warning means that flooding is imminent. If a flood watch is declared, citizens in or near the flood plain should continue to monitor radio and/or TV announcements for changes in the flood conditions. If a flood warning is declared, citizens in or near the flood plain should take appropriate action to protect their family and property. During times of heavy rainfall, monitor the level of water in the stream nearest you. Stay tuned to radio or TV for possible flood declarations. 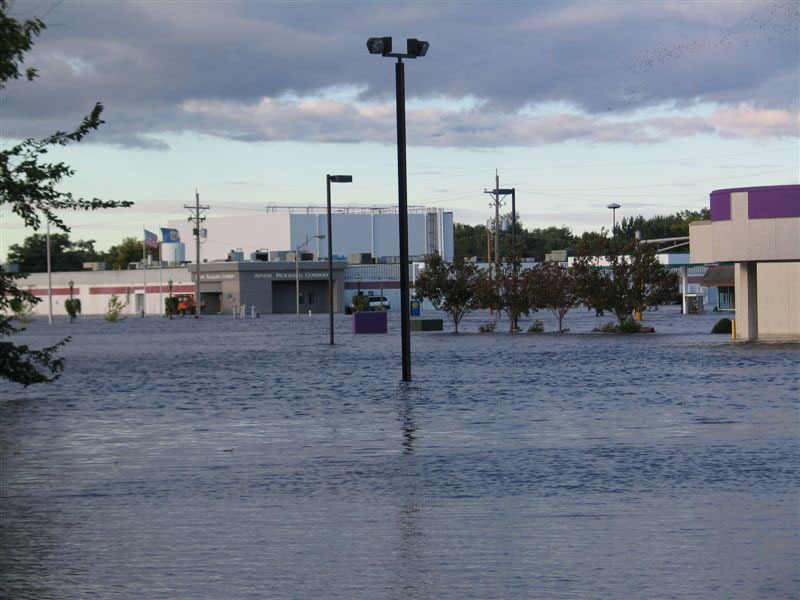 Your homeowners insurance policy will not cover losses due to flooding. Austin participates in the National Flood Insurance Program which makes flood insurance available to everyone in the City. For many people, their home and its contents represent their greatest investment. 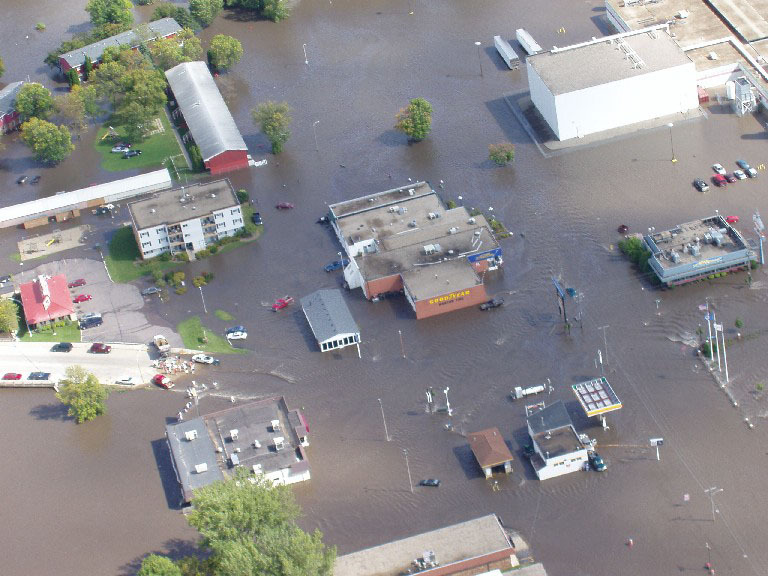 We strongly urge you to buy flood insurance to protect yourself from devastating losses due to flooding. A 30 day waiting period is required for the policy to become effective. Do not wait until the last minute to obtain coverage. Almost all development such as building or filling requires permits. If you are planning any modifications, please contact the City Building Official prior to doing any work. Illegal flood plain development should be reported to the City Engineer’s Office. Maintenance of the steam channel is an important part of good flood plain management. Any obstructions in the stream channel should be reported to the City Engineer’s Office. Report any illegal dumping you may see to the Police Department and the City Engineer’s Office. The National Flood Insurance Program and Austin City Ordinance requires that if the cost of reconstruction, rehabilitation, addition, or other improvements to a building in the flood plain equals or exceeds 50% of the buildings market value, then the building must meet the construction requirements of a new building placed in the flood plain. In most cases, this would require that the building be elevated to the flood protection elevations as required by City Ordinance. The wise management of our local flood plain preserves the water quality, natural characteristics, economic values and general health, safety, and welfare of our community. The J.C. Hormel Nature Center is a good example of an area with substantial flood plain acreage which through preservation in its natural condition, provides benefits both to man and nature. 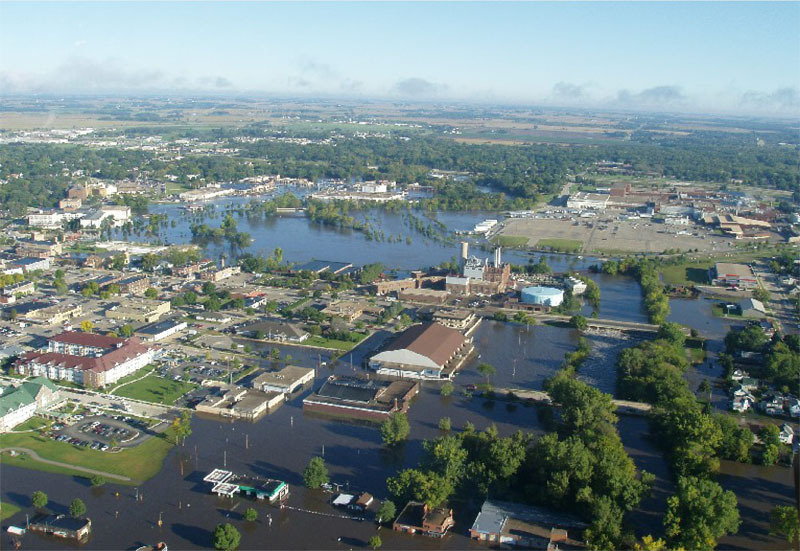 Community uses local sales tax to help fund flood mitigation. Protect yourself and your property from floods. To understand flooding in Austin you have to have general information regarding the watershed and the streams that impact the community. 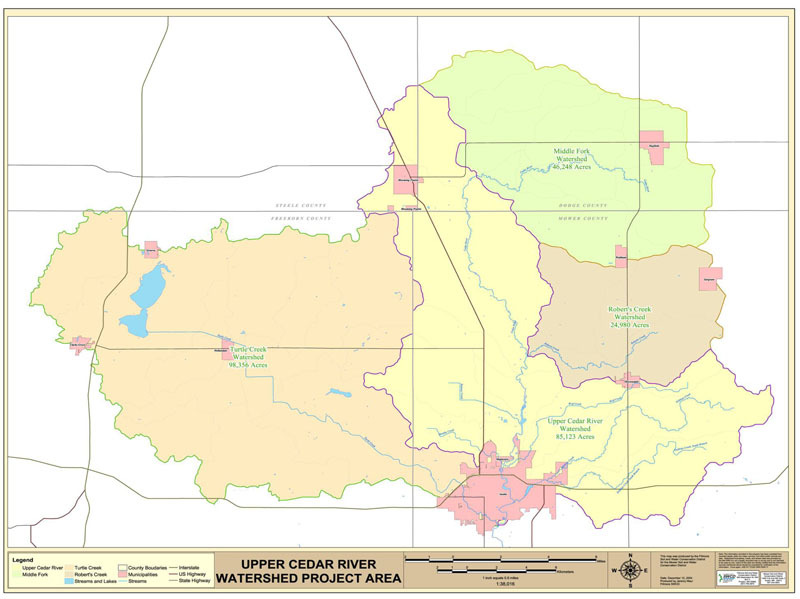 Austin is the confluence of three different streams that make up the upper cedar river watershed. 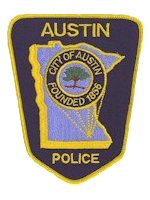 City of Austin authorized a Mitigation Study to look at options to protect the North Main area. Study cost approximately $90,000 which was funded with local dollars. 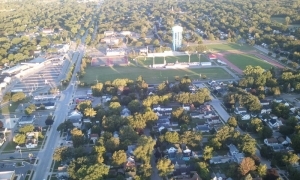 Project scope was to evaluate the feasibility and determine the costs to structurally protect the property along and adjacent to North Main. Property in this area has been significantly impacted by more severe and more frequent flooding events. The ultimate goal for the City of Austin is to remove or protect all structures in the flood plain. We are not there yet, but with continued efforts, flood damages to the community have been and can be significantly reduced. By spending time and energy toward flood mitigation today, we can lessen the costs of disasters to our community tomorrow. In reviewing the options provided, the least expensive is the solid wall and the most expensive is the invisible wall with the road raise. The estimated cost difference between the solid wall and the invisible wall is approximately $500,000. Other design considerations would include raising the road which has the potential of adding an additional cost of $250,000. Numerous portions of the road will be impacted regardless of the method of construction. 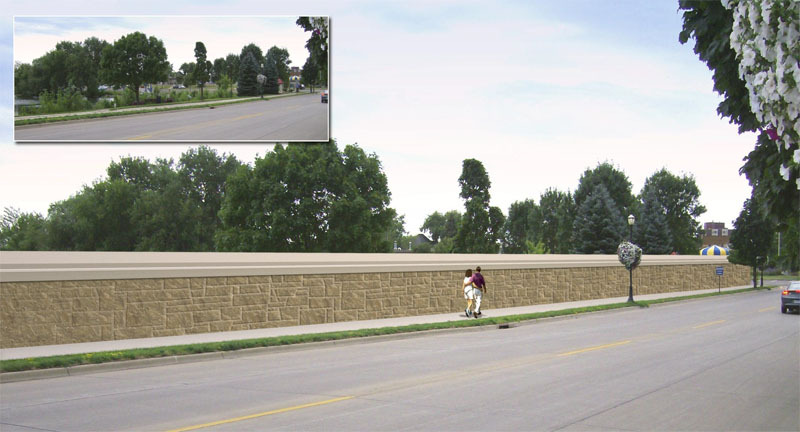 The option of the solid wall creates certain public safety issues. The area between the wall and the Mill Pond is blocked from view from Main Street. This creates potential safety issues in the area adjacent to the Mill Pond. The invisible wall allows for the Mill Pond area to be visually accessible from Main Street. In reviewing the options available, the invisible wall does require a response by the City to install the planks for potential flooding events versus the solid wall design. For comparison purposes, the invisible wall with the road raise provides for flood protection approximately 12” higher than the flood of record (2004). The invisible wall would provide protection to a greater elevation and based on previous flood events, this installation is feasible. In all options, the proposed wall is decorative in nature. In order to provide the level of protection required, the height of the wall becomes very imposing and has a significant impact on the North Main area. (Specifically the Mill Pond area) The City of Austin has made significant efforts for improvements to the Main Street corridor and the solid wall option has the potential to detract from the efforts made. In all cases, there is a solid wall option to a protection level equal to the 2004 flood. This provides a safety level and response time that would allow the invisible wall to be feasible. If the invisible wall option would be chosen, an Action Plan would have to be developed that would provide for annual drills that would include installation. The invisible wall with the road raise eliminates many of the concerns from a public safety standpoint expressed by the Police and Fire Departments. These concerns include: access, visibility, and safety. All options provide a solid wall due to height exceeding the 2004 flood of record. This would provide the City the necessary time to install additional flood planking if needed. Graffiti – The solid wall and lack of visibility on the Mill Pond side will be more conducive to graffiti. The investment in the Main Street and Downtown areas by both the public and private sectors are in the millions of dollars and through proper planning and infrastructure development this area will continue to be a strong economic base and cultural center for the City of Austin. As the Council moves forward with this important decision, it will have significant impacts on how this area is currently used and the long range development plans that allow business and industry to interact with one of the community’s most significant recreational areas.